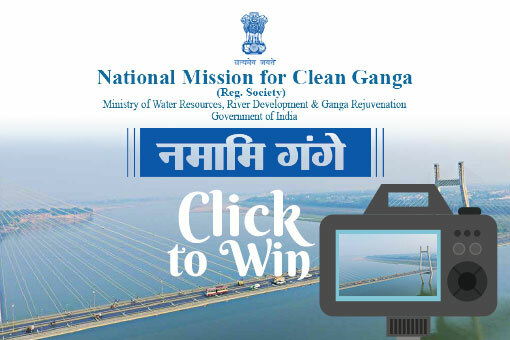 Click & upload snaps of river Ganga and win exciting prizes - courtesy of National Mission For Clean Ganga. Namami Gange has taken unique initiative by giving the fans and those passionate about river Ganga an opportunity to participate in a photography contest. The copyright of the submitted photographs will be with National Mission for Clean Ganga. Participate in the #NamamiGange Photo Contest on occasion of Ganga Swachhta Pakhwada 2018. There are also 7 consolation prizes of ₹ 5000 each.